Baby Gas Mask, absurdist soul and prog, plus Chaka! It's been what I believe is now a couple of years since musicians/radio DJs/all-around good folks Seth and Melissa Mauzy have been recording some songs by two acts at a time and releasing one from each as a 7-inch on their own Baby Gas Mask Records imprint. As far as Tucson rock music goes, the series has been all over the map, with appearances by math-rockers Garboski, synth-pop duo Head Over Heart, country-tinged greats Laura and the Killed Men and the blues-punk mushroom cloud of Katterwaul. This week, the fourth installment of Baby Gas Mask Records, seriously punned West Foot Forward series will be officially released at Club Congress by artists Mik and Scott and Gamma Like Very Ultra, who appear on the record. Mik and Scott are great—the duo live-loop all kinds of beats and melodies from all kinds of drums and horns until they've unleashed a dizzying maelstrom. Well, as dizzy and as much of a maelstrom as one could get away with while still being the house band for Sunday brunches—and they are, but their absurdist take on soul is endearing and entertaining nonetheless. Gamma Like Very Ultra has mostly been relegated to opening slots for local garage rock acts; hopefully that will change by putting their West Foot Forward. The band is very good and very singular—in this town, in this time—hitting all the right notes of jazz-rock-fusion-prog that, miraculously, through the band's own formidable talents, doesn't come off as jazz-rock-fusion-prog. See Mik and Scott and Gamma Like Very Ultra put their West Foot Forward on Sunday, Oct. 16 at Club Congress, 311 E. Congress St. Doors at 8 p.m., 21+. Free show. Go to clubcongress.com for info. 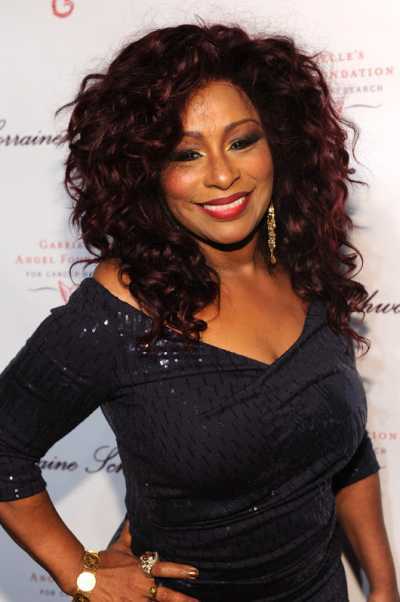 It's not a total exaggeration to say that without Chaka Khan, there would be no you. Yes, you might have been born. You could have lived and died. But without Ms. Khan and her glorious back catalog of what are surely now musical standards, life could be a lot worse. This two-time Rock 'n' Roll Hall of Famer has been lighting up lives since her 1970s days with Rufus, whose classic hit "Tell Me Something Good" was written by Stevie Wonder for Ms. Khan, because even at that early date, there was no mistaking her talent and greatness. Over the decades since then, the hits have kept coming, and when they dried up, it was only because Chaka Khan is so far ahead of what everyone else is doing. Still, the hits are legion, and when she blesses Tucson with an appearance this week, you'll probably be party to most of them: "I Feel For You," "Clouds," "I'm Every Woman," "Do You Love What You Feel," and on and on. She's coming from the Prince tribute in Saint Paul, Minn. Be at Centennial Hall, 1020 E. University Blvd., on Friday, Oct. 14 for the one and only funk legend Chaka Khan. Tickets at Ticketmaster.